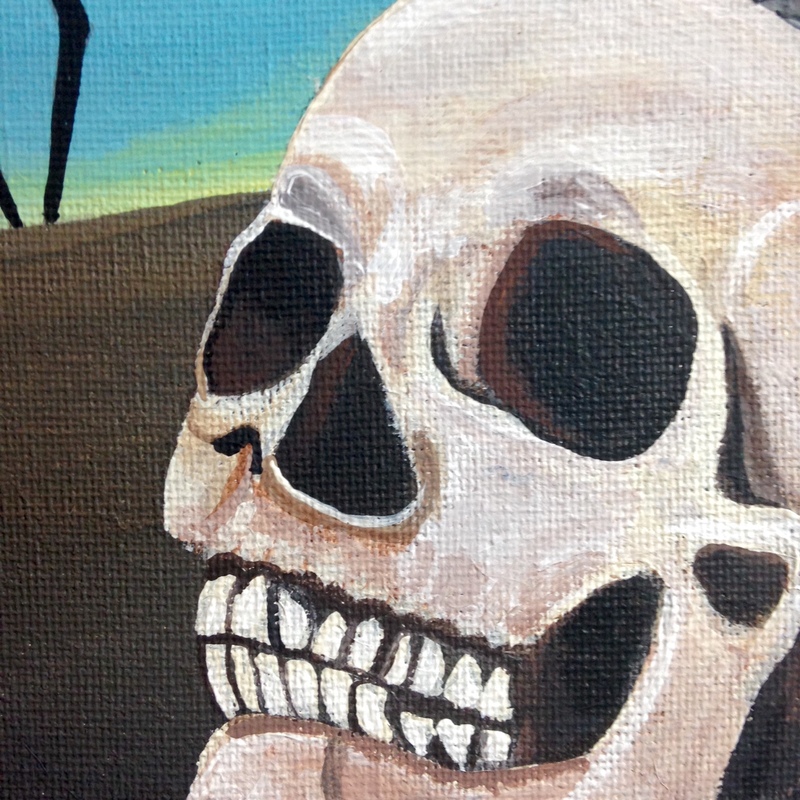 It’s Day 350 and I spent forever today painting and making sure I did a wonderful tribute to today’s artist since he’s been one of my favorite artists since high school! 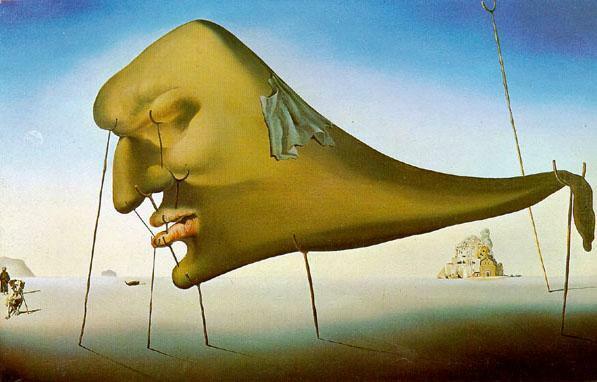 Please join me in honoring Salvador Dali today. I’m posting this kind of late since I was rushing around doing holiday stuff this evening! 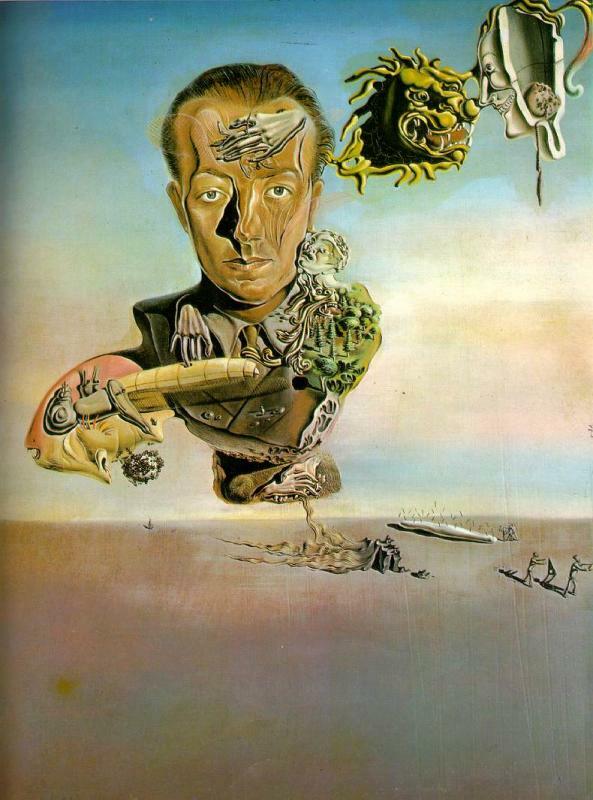 Spanish artist and Surrealist icon Salvador Dalí is perhaps best known for his painting of melting clocks, The Persistence of Memory. 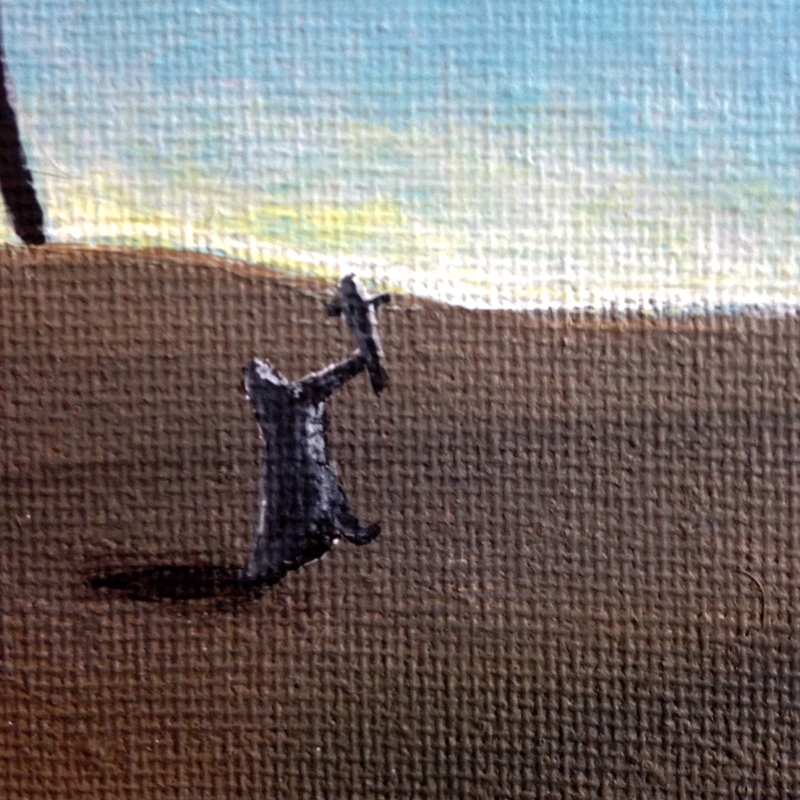 eccentricities, and punished him severely. Their relationship deteriorated when Salvador was still young, exacerbated by competition between he and his father for Felipa’s affection. by several different artistic styles, including Metaphysics and Cubism, which earned him attention from his fellow students—though he probably didn’t yet understand the Cubist movement entirely. 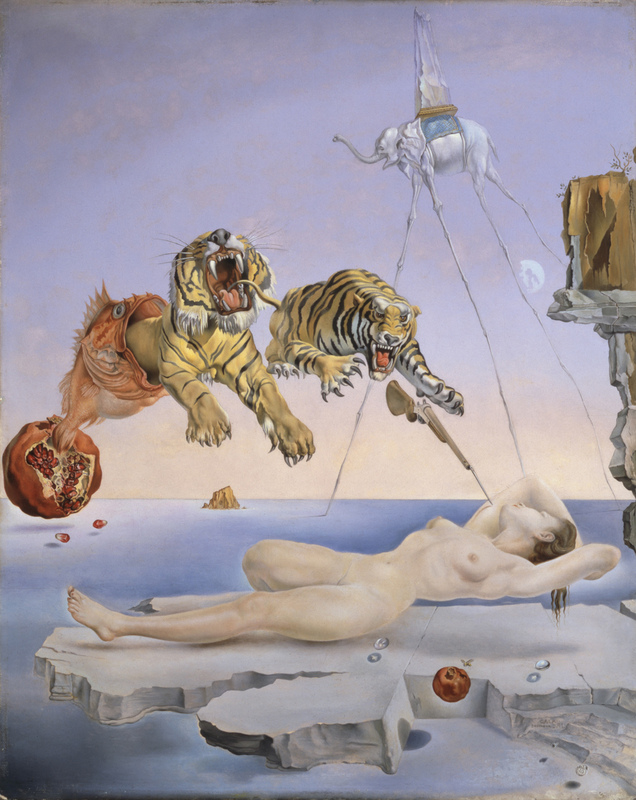 All of this experimentation led to Dalí’s first Surrealistic period in 1929. 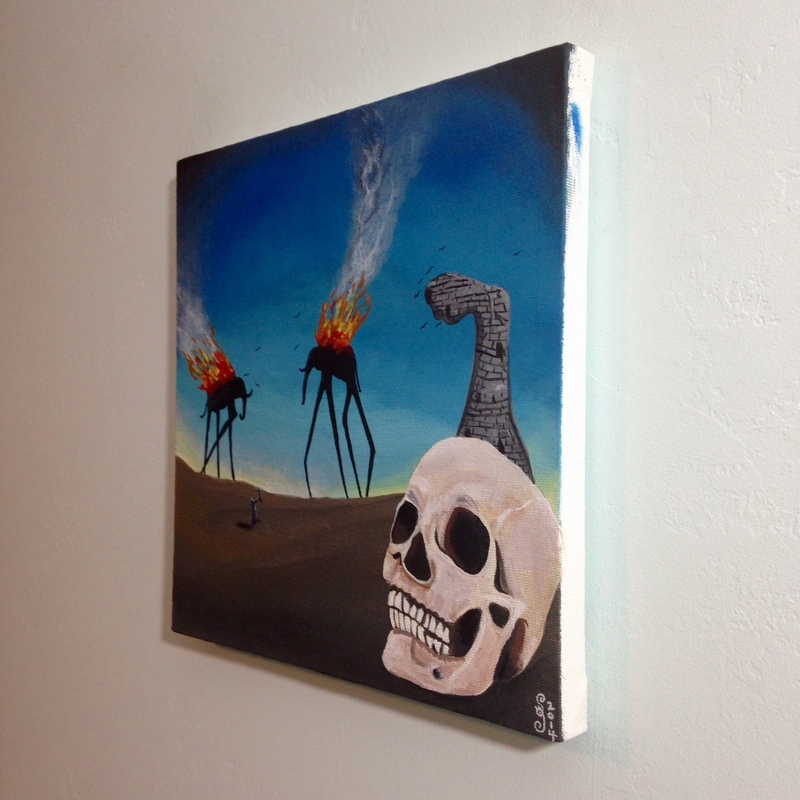 These oil paintings were small collages of his dream images. 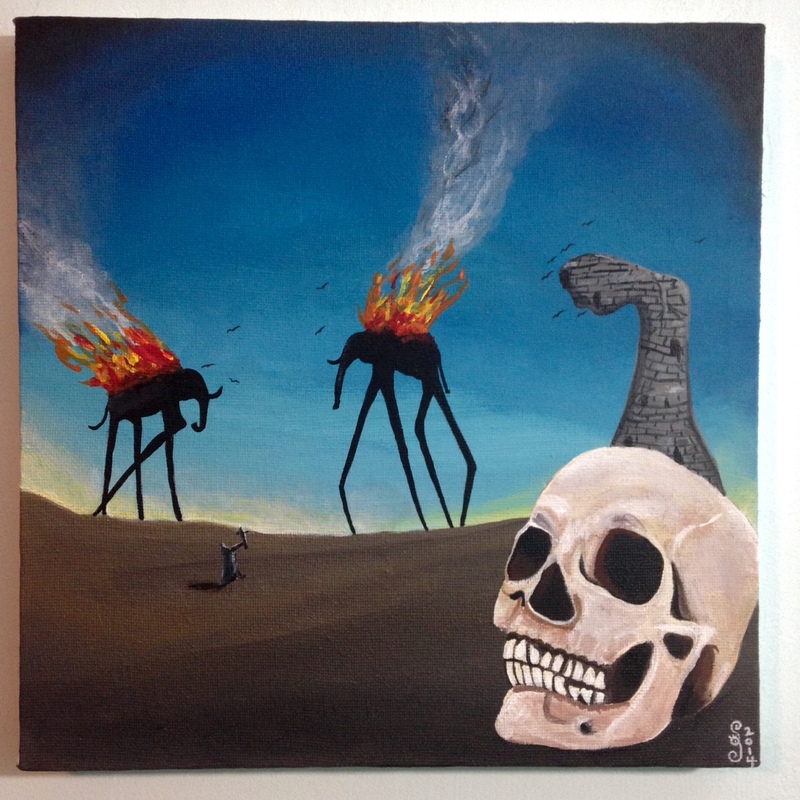 His work employed a meticulous classical technique, influenced by Renaissance artists, that contradicted the “unreal dream” space that he created with strange hallucinatory characters. 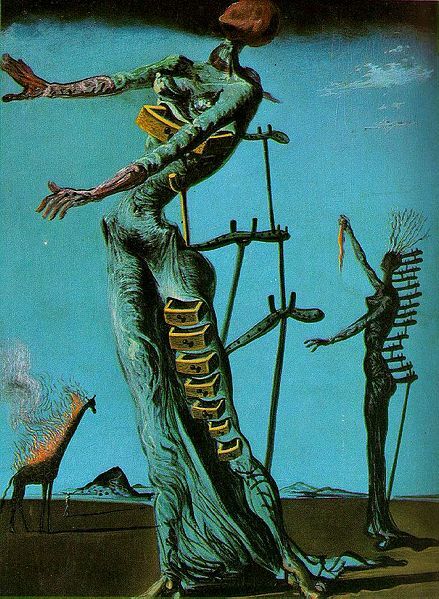 Even before this period, Dalí was an avid reader of Sigmund Freud’s psychoanalytic theories. 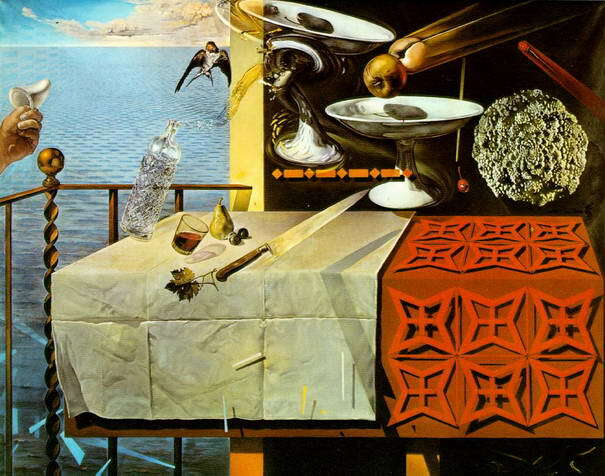 Dalí’s major contribution to the Surrealist movement was what he called the “paranoiac-critical method,” a mental exercise of accessing the subconscious to enhance artistic creativity. 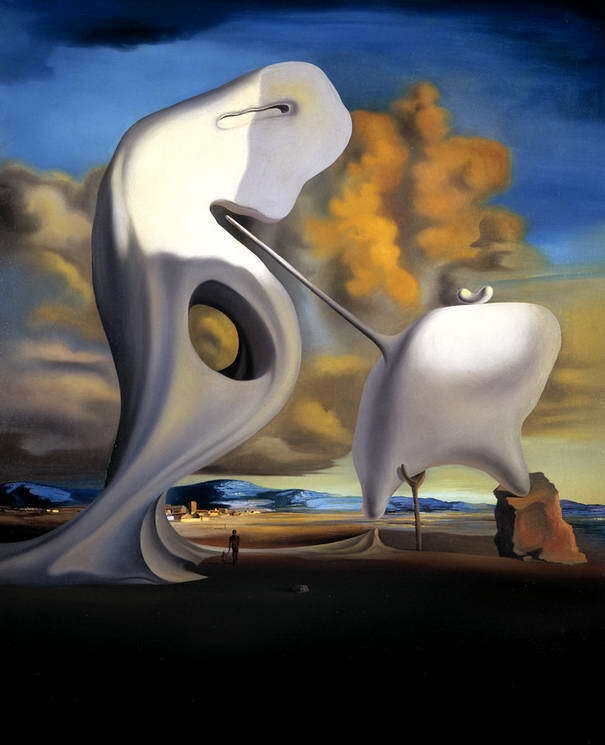 Dalí would use the method to create a reality from his dreams and subconscious thoughts, thus mentally changing reality to what he wanted it to be and not necessarily what it was. 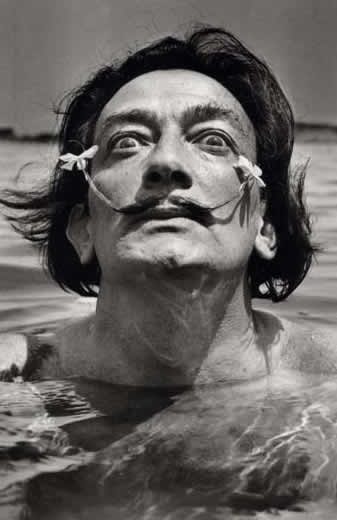 For Dalí, it became a way of life. were his first patrons. 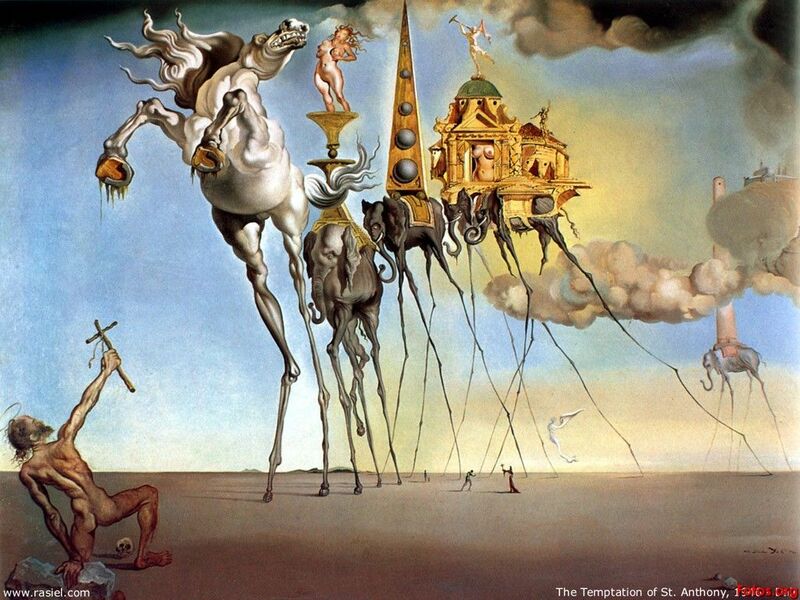 French aristocrats, both husband and wife invested heavily in avant-garde art in the early 20th century. 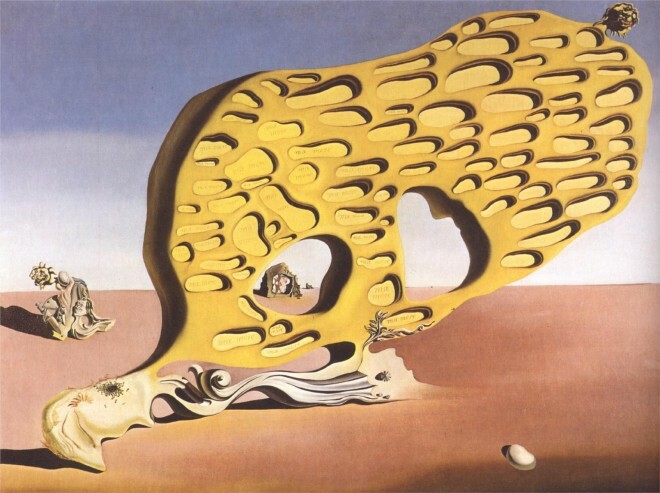 One of Dalí’s most famous paintings produced at this time—and perhaps the best-known Surrealist work—was The Persistence of Memory (1931). 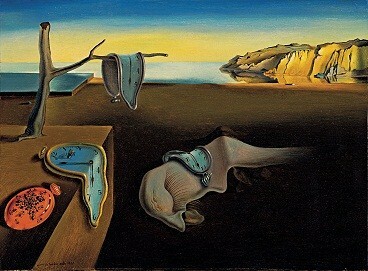 The painting, sometimes called Soft Watches, shows melting pocket watches in a landscape setting. 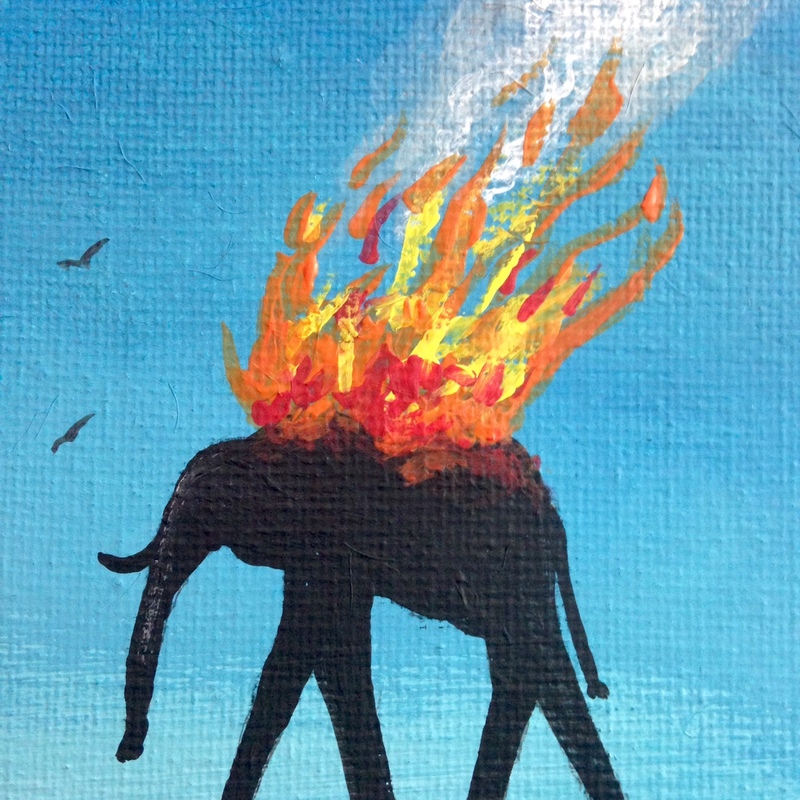 It is said that the painting conveys several ideas within the image, chiefly that time is not rigid and everything is destructible. Partial biography is from biography.com. I hope you enjoy my tribute today! I will see you tomorrow on Day 351!